Ground person or trainer must be present. *DHS Release forms must be signed & on file prior to riding. 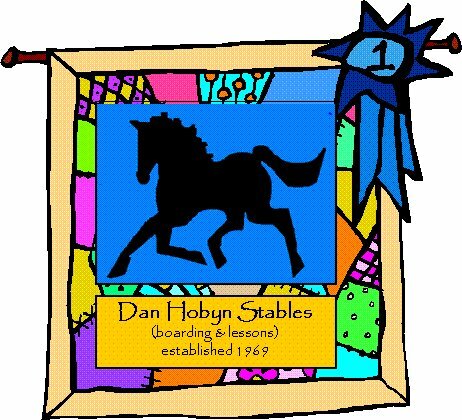 To get started in our lesson program, please email us at danhobynstables@aol.com or go to our "contact us" on the website and fill out the form. The minimum age for lessons is 6. However, we do accept 5 year olds into our Summer Day Camps (check out our Day Camp page for details). Please read through our Lesson Policies, and bring a signed Release Form and Barn Rules when you come to your 1st lesson. *Lease fee does NOT include the price of lesson. *Orientation Lessons are designed for beginner riders with little to no riding experience. *This package includes 4 - 1 hour lessons consisting of 30 minutes of Horse Management instruction (learning to groom, tack-up horse, safety around horses, etc...) and 30 minutes of Basic Riding Skills.